Schemers are always looking for easy money. 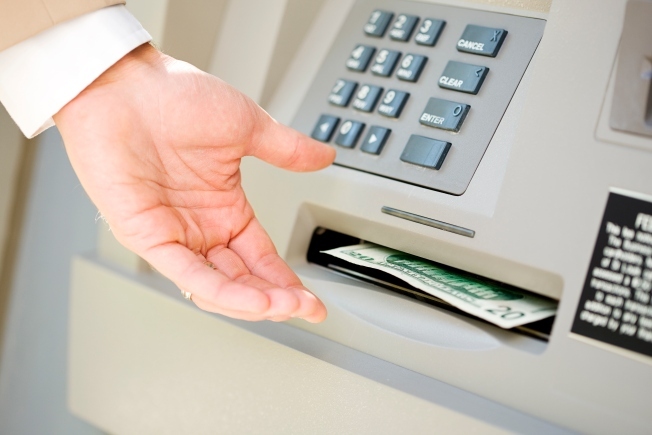 Most Ponzi schemers use their scams as their personal ATM machines, but these guys allegedly used automated teller machines as their Ponzi scheme. The feds in New York have charged two men with an $80 million Ponzi scheme involving an automated teller machine business, authorities said Monday. Vance Moore II, 55, of Raleigh, N.C., was arrested Friday in Garner, N.C., and was scheduled for an initial court appearance Monday in the Eastern District of North Carolina. His New York attorney, Stuart London, did not immediately return a call for comment. Walter Netschi, 62, of McKinney, Texas, surrendered in New York on Monday. "He will be pleading not guilty. We reasonably expect that at the conclusion of a trial, he will be totally exonerated," said attorney Michael Washor. Both face charges of wire fraud, and conspiracy to commit wire fraud. U.S. Attorney Preet Bharara in Manhattan and the FBI said the men solicited investments for ATMs, saying they would generate revenue from cash withdrawal fees. The machines supposedly were to be placed in retail locations around the country, including convenience stores, gas stations, malls and hotels. Most of the machines didn't exist, or were never owned by the men, authorities said. "It was a classic Ponzi scheme, and the phantom revenue came from new investors," said Joseph M. Demarest Jr., FBI assistant director-in-charge. "The scheme itself, until discovered, was one giant cash machine." The alleged scheme occurred from 2005 to January 2008.